The final school experiment brought a lot of media attention to the SPLENDID project. 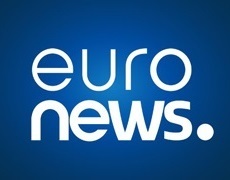 Starting with a video on Futuris, the science programme of the pan-European television channel Euronews, featuring interviews with researchers and students on the usability and aim of SPLENDID. The video also includes interviews with patients and the CEO from the Mandometer and Mandolean clinic on the experience of eating disorders and the prospect of using the system in prevention. Information on the project was later put up on the European Commissions website, where they could hint at the coming project, BigO, which will use the know-how of the SPLENDID project to not only target individuals, but public health authorities. providing evidence on the impact of specific interventions.